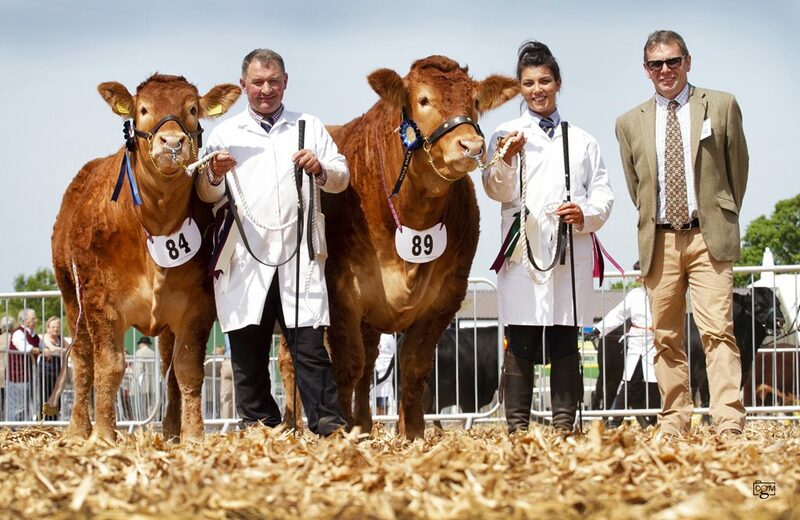 This week's Devon County Show saw the summer show season officially start with a bang for the Foxhill team. 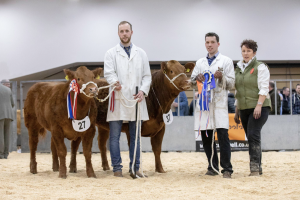 In the Limousin section under judge Eric Norman we won every class entered and started the day by taking the male championship with Foxhillfarm Napoleon, an April 17-born son of Foxhillfarm Jasper out of the record priced female, Glenrock Illusion. 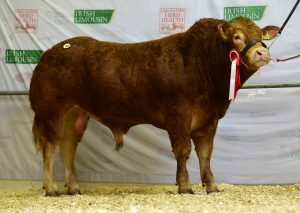 He then went on to take the male championship and on the second day of the show stood junior interbreed champion. 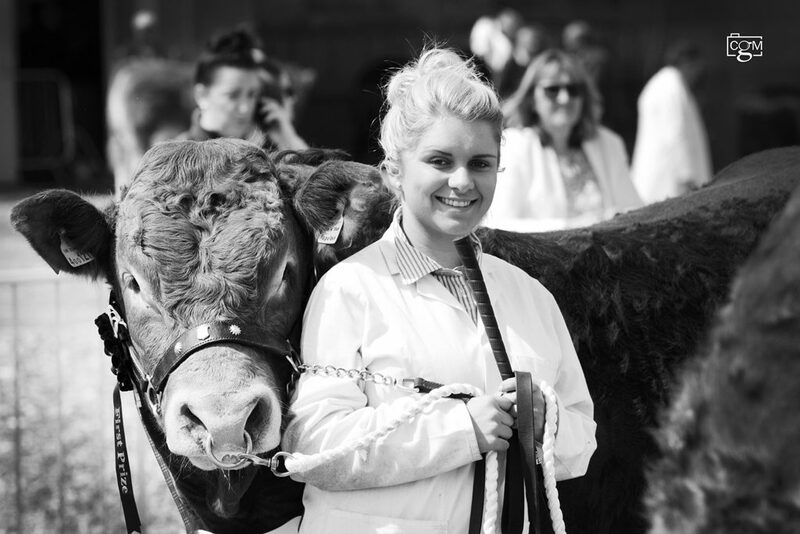 In the females, Foxhillfarm Naomi (pictured below) won her class and then went on to secure the female and overall championship. Naomi is by Trueman Jagger and out of the Wilodge Fantastic daughter, Foxhillfarm Isla. 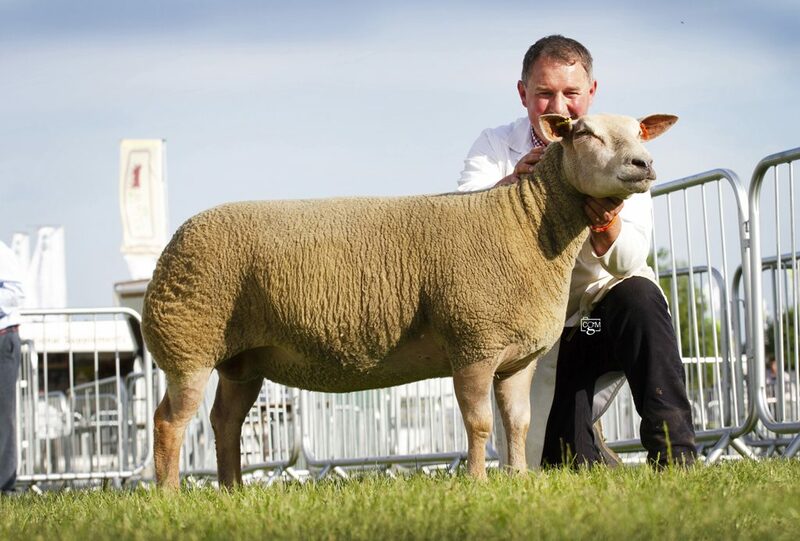 Then on the second day of judging Naomi clinched the local interbreed championship. 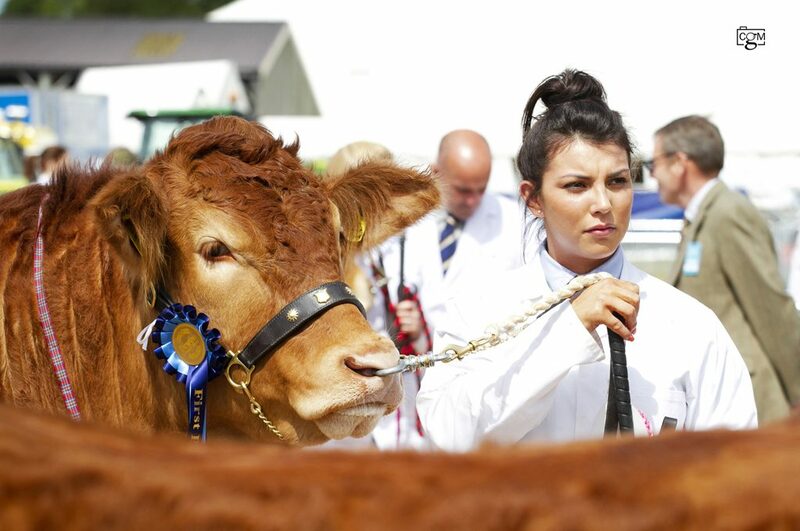 Having won her class, Foxhillfarm Minesagin stood reserve female champion behind Naomi. 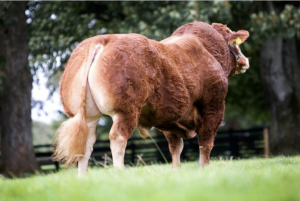 This September 16-born Jagger daughter is out of the Loosebeare Fantastic daughter, Foxhillfarm Justtheone. 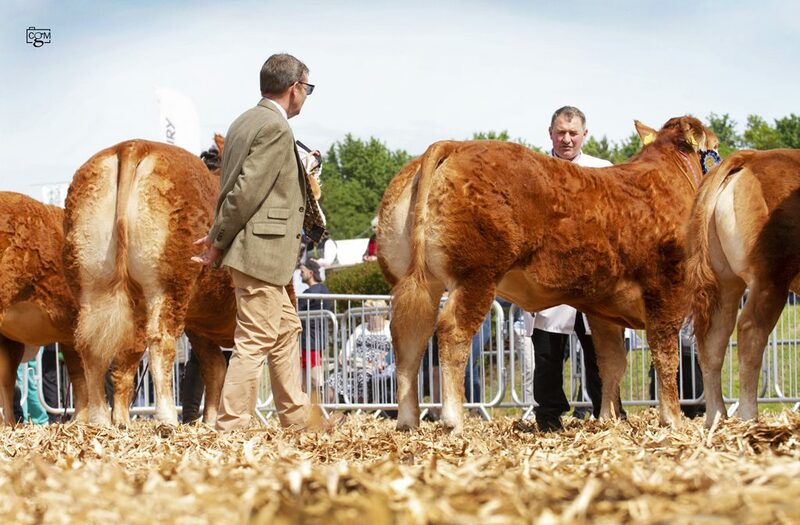 These three also teamed up on day two to stand interbreed group of three champions and then in the coveted Burke Trophy championships, Napoleon and Minesagin paired up to stand reserve overall Burke Trophy champions, congratulations to the Blue pair win on winning such a prestigious title. In the cow and calf class Foxhillfarm Ivy stood top of the line with her heifer calf. 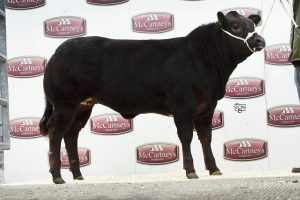 In the commercial beef cattle classes, judged on the Friday, our Limousin steer, No Likey The Second won his class. Meanwhile in the sheep rings, our Charollais aged ewe won her class and then went on to be female and reserve overall champion, while our shearling ewe also won her class. 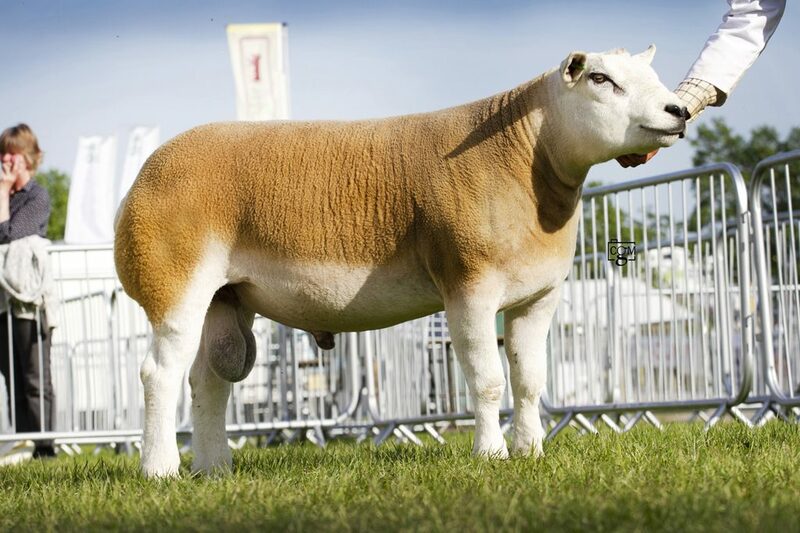 In the Texel section, we won the aged ram class and then went on to stand reserve male champion with Midlock You're The One. We also took a third in the ewe lamb class and fifth in a strong ram lamb class. 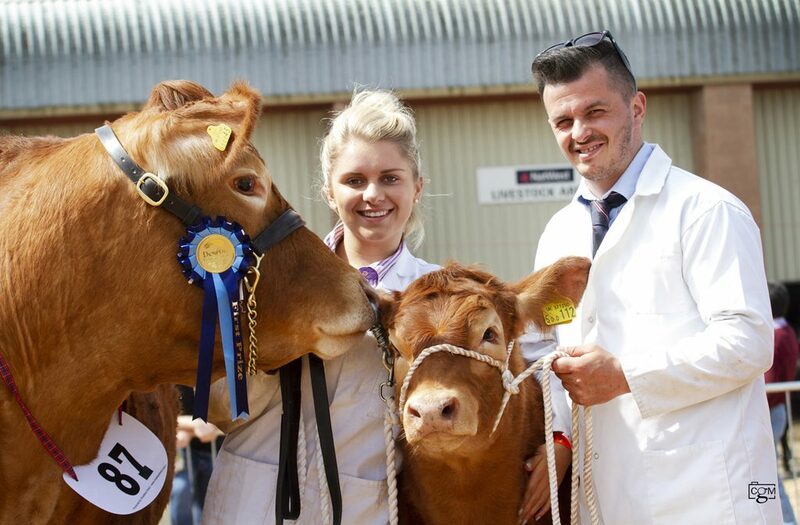 A huge thank you to Millie, Rhys and Paul who helped on the day preparing and showing the stock and well done to the other exhibitors at the show. Next stop for us is Royal Cornwall, look forward to seeing you there! PreviousFoxhill all set for a busy show season!